This post is courtesy of greyzone Guest Blogger, Tami Forman. Internships aren’t just for college kids. A new kind of internship, designed for experienced professionals, is increasing in popularity. Learn more about how these programs work and how they can help you restart your career. The Bureau of Labor Statistics estimates that 36% of prime working-age women (alongside 3% of prime working-age men) are out of the traditional workforce, and are instead in caregiving roles. Most of these women and men want to return to work at some point, but the prospect of doing so is often daunting. Research shows that mothers and fathers who’ve voluntarily paused their careers for childcare are discriminated against when trying to reenter the workforce. Yet the external reactions to time away from work are only part of the challenge. I speak with many women who are daunted by the prospect of returning, in part, because they aren’t sure what role they want to pursue. Changes in the job market, or even just changes in their interests, leave them feeling unsure of how to start a search. Enter “returnships” — midcareer internships generally designed for professionals who have taken a career break of two years or more. Returnships offer many of the benefits of a college internship such as an opportunity to try out a role and get your foot in the door with a company you are interested in working for. These programs tend to be geared to those who have many years of professional experience already under their belts. Returnships are temporary, but vary in length. My organization, Path Forward, works with more than 35 companies on a 16-week program. Some of the big banks run programs that are 8 or 10 weeks long and some larger technology companies run programs that last 6 months. A job is not guaranteed, but you can use the opportunity to propel your return. Many people feel anxious at the prospect of taking an opportunity that may not turn into an offer of full-time employment. It’s important to know that you can successfully restart your career after a returnship, even if you aren’t offered a position. The recent experience, refreshed skills, renewed contacts and confidence boost are all benefits that contribute to helping you find full time employment. What you get out, is what you put in. Like most opportunities in life, how much a returnship benefits you is correlated to how much you give to the opportunity. Some programs are really well-designed with great mentorship and the chance to work on exciting projects. Other programs, honestly, have challenges that the returnees need to navigate. What’s interesting, is that I’ve seen women in fantastic programs who don’t succeed, and women in less-amazing programs who land great jobs. The difference is generally the mindset of the woman. Visit our Q&A to learn more about Path Forward programs. If you want to be informed of opportunities to apply with Path Forward partners, sign up for our newsletter. We also have a list of US-based return to work programs that are not run by Path Forward. The timing and location of these programs vary. Do you know of a return to work program not listed here? Please let us know! If you are just starting your return to work journey and need some support, check out our Career Restart Kit. It’s a 4 week email series with recorded content, blog posts and checklists. Bio:Tami M. Forman is the Executive Director of Path Forward, a nonprofit organization that creates mid-career internship programs to ease the transition back to work for women (and men) after taking a break for raising children or other caregiving responsibilities. Path Forward trains HR teams and hiring managers on how to support these programs successfully and provides support to participants to make the experience successful. Tami is building this organization from the ground up, working with donors, partners and participants to fulfill the organization’s mission. Tami spent a decade as a tech marketing executive with data solutions provider, Return Path. Before that she worked in book publishing at Simon & Schuster and Houghton Mifflin and held senior-level web editorial positions at iVillage and News Corporation. 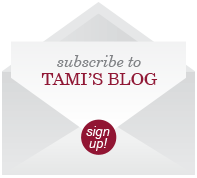 Tami is passionate about helping women achieve work/life integration so they can find career success and personal satisfaction. She lives in New York City with her husband and two kids, aged seven and nine.